FremantleMedia North America (American Gods) today announced it has won the rights to Mervyn Peake’s gothic fantasy book series, Gormenghast. Hailed as one of the great works of 20th century British literature, Gormenghast has received widespread acclaim and has been translated into more than 20 languages. With numerous companies competing for the project, FMNA ultimately secured the rights to all five books within the series, from literary agent Jonathan Sissons at Peters, Fraser and Dunlop, on behalf of the Peake estate. Attached to the project are award-winning author Neil Gaiman (American Gods, Norse Mythology, Coraline) and Academy Award-winning writer, producer and director Akiva Goldsman (A Beautiful Mind, Cinderella Man), who will serve as non-writing executive producers. Academy Award-winning Barry Spikings (The Deer Hunter, Lone Survivor) will also serve as an executive producer, along with David A. Stern (Howards End, The Last Tycoon), who was instrumental in bringing this deal together. The Gormenghast series traces the life of Titus Groan, our hero and the 77th Earl of Groan. The series begins with his birth and follows him throughout his complex life. Titus is a reluctant heir to the Earldom, but one who stands to inherit the miles of rambling stone and mortar that form Gormenghast Castle and its kingdom, unless the toxically charismatic, Steerpike, is able to rise above his kitchen boy station to take control of the House of Groan. What follows is an extended fight to the death for Gormenghast itself. Titus comes to realize that the fortress isn’t simply a castle stifled by traditions, it’s a legacy that provides him with the foundations to survive and thrive in the world outside the castle walls. 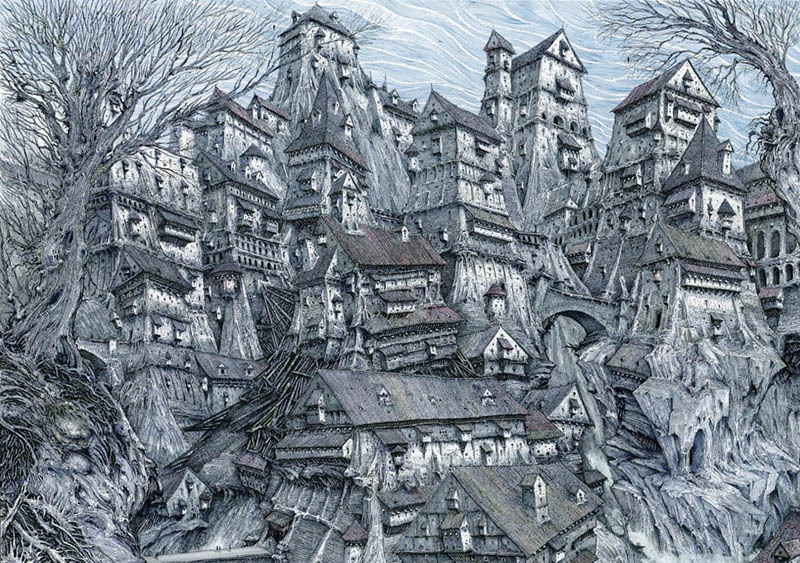 The fantastical world of Gormenghast is full of rich storylines encompassing a doomed lord, an emergent hero, and a dazzling array of bizarre creatures. The first two books were previously adapted by the BBC as the four-episode series Gormenghast in 2000, which starred Jonathan Rhys Meyers, Celia Imrie, Ian Richardson, Neve McIntosh, Christopher Lee and Richard Griffiths. The post New Gormenghast Series Coming from Neil Gaiman & Akiva Goldsman appeared first on ComingSoon.net.